What make your jewelry look more high-end and unique? Tungsten jewelry hang tag will. Hang tag helps jewelry businesses push all sorts of product from bracelets to earrings and tungsten jewelry hang tag helps to display jewelry professionally and connect you with customers. 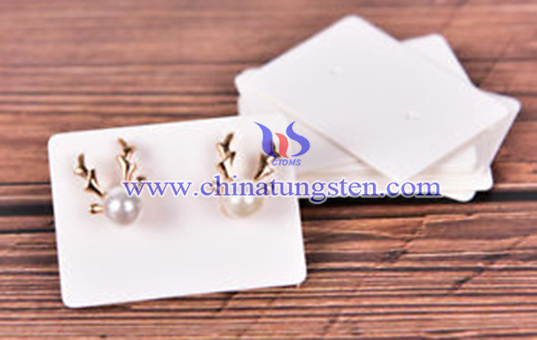 It could contain the detail information of the jewelry so that customers can know the product well. The tag also can be used to showcase what makes each piece of jewelry unique or serve as price or gift tags. To make the hang tag truly unique, we’re giving you options to set the style, size, paper type, and even provide a rounded corner option. This way, your personalized jewelry tags are just as special as your products. 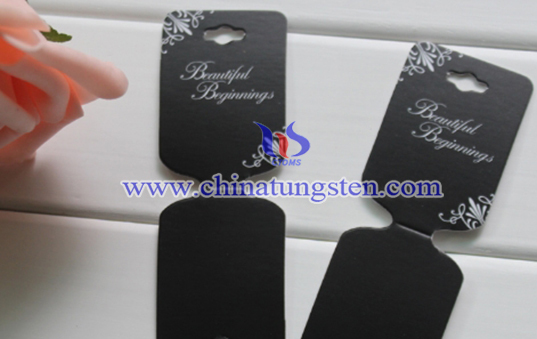 If you have any interest in tungsten jewelry hang tag, please feel free to contact us by email: sales@chinatungsten.com sales@xiamentungsten.com or by telephone:0086 592 5129696.